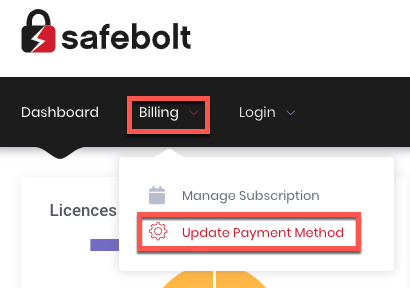 In order to update your payment method, first login to your SafeBolt dashboard. Enter your new payment information, and click the green “Continue” button. 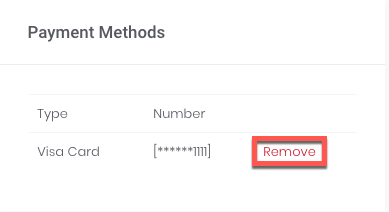 You may also remove your previous payment method by clicking the red "Remove" to the right of your previous card.